In this article, I have tried to answer those questions by recommending some of the best Spring frameworks relate books currently available in the market. The list is not very different from my earlier list of recommended books on Spring but I have made some changes to include an updated version of books which covers latest versions of Spring framework, latest Spring 5. I have also included books to learn Spring batch, Spring Boot, and Spring Security along with Spring core and Spring MVC. So, now the list is more complete, relevant and covers most of the Spring ecosystem. As I told you before, the Spring framework is the most popular framework or library used in Java world. It is also the most sought-after skill among Java Web developer. Though, limiting Spring to web developer will not do justice with its capability and importance in the Java world. It is quite as popular in core Java world as it is for web development, but it was Spring MVC which initially make Spring framework famous by providing an MVC platform to develop Java web application, but the actual difference was made by Spring's dependency Injection idea. There was popular MVC framework available when Spring first came into the scene around 2004-05, Struts was the leading web framework that time, but the simple idea that you don't need to create an object and manage dependency helps the Spring big time. It not only simplifies the code but also promoted good coding practice which results in better software. 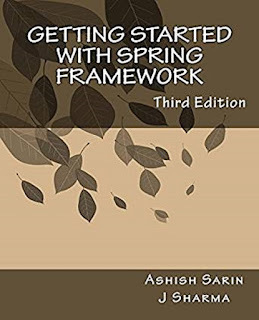 Btw, if you are just starting with Spring and want to learn the latest version Spring 5 in a more interactive way, I also suggest you join a comprehensive online Spring course like Spring Framework 5: Beginner to Guru, along with following one of these books. This provides the best of both world and you will learn quickly and learn better. Since most of the Java developers know that Spring is an important skill, the next step for them is how to learn Spring framework and how to become a star developer by fully utilizing Spring's capability. This is THE Spring book which most of the Java developer read and has read in past to learn Spring framework. The author Craig Walls is one of the project lead in Spring Social project lead and frequently speaks at local user groups and conferences about Spring. 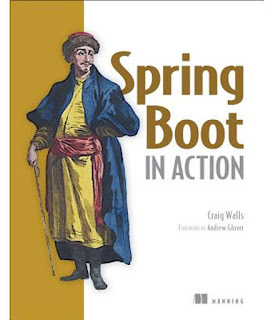 I myself read the older version of Spring in Action to learn Spring framework. 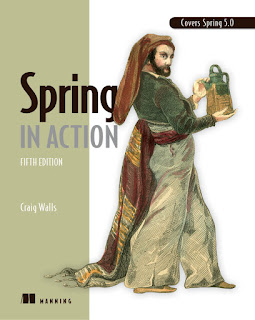 The best part of the book is that it is now updated to cover Spring 5, so you must buy the latest edition of the Spring in Action, which is the 5th Edition. This book will teach you everything about Spring core and Spring MVC to you. You will learn the fundamentals and principles of Spring framework like DI and IOC, wiring beans, aspect-oriented programming in Spring. You will also learn Spring MVC like developing Java web application using Spring MVC, rendering web views, advanced Spring MVC, working with Spring flow and how to secure web application. The book also covers Spring's support for JDBC, messaging, remote method invocation, sending emails using Spring, Web Socket, JMX and how you can simply Spring development with Spring Boot. If you want you can also combine this book, along with the Spring Master Class - Beginner to Expert course on Udemy to learn better and quicker. In short, this is the best Spring framework book which will teach you the latest features, tools, and practices including Spring MVC, REST, Security, Web Flow, and more. If you want to read just one book on Spring, this should be it. This is another one of the best books to learn Spring framework. It is little late entrant on Spring world but both author J. Sharma and Ashish Sarin have done a wonderful job to keep the book updated and relevant even today. The latest edition, the 3rd one is updated to cover Spring 4.3 and Java 8. So, it is one of the rare books which covers Spring with Java 8. The book is full of examples, containing almost 74 sample projects and the best part of the book is that it shows you how to develop a full-scale Spring application step by step by demonstrating how to develop a simple internet banking application in Java incrementally in each chapter. This is a very good example and quite close to real-world experience, you will get by actually working for any company which uses Spring to develop Java application. It covers almost everything with Spring core and Spring MVC but doesn't touch on Spring Batch or Spring boot, which make sense because they are not the part of the core Spring framework. It also teaches you how to configure Spring using Java configuration, using annotation for dependency injection, SpEL (Spring expression language), caching using Spring's cache abstraction, sending and receiving emails and JSM messages using Spring, aspect-oriented programming etc. Along with that, you can also learn task scheduling, database interaction using JDBC in Spring, programmatic and declarative transaction management, Spring Data, Spring MVC, Spring Security and also teach you how to develop RESTful Web Services using Spring. In short, certainly one of the best and most complete books on Spring framework, much recommended to Java developers, both beginners and intermediate. This is another great book by Craig Walls which will help you to learn Spring framework faster. The initial trouble with Spring was so much configuration and you often get lost on that until you have someone who can help you with those nasty configurations, particularly the XML ones. The Spring boot made developing Spring application a lot easier, hence it make learning Spring simpler. Spring Boot in Action is a good guide on writing Java application using Spring Boot. It will teach you how to avoid tedious configuration to focus more on application development rather than dealing with framework nuisance. The book will also teach you testing with Spring boot, which is a very important concept. If you have worked on enterprise Java application e.g. Trading GUIs or E-commerce projects you know how important and common is to run batch applications. Even though batch jobs is so common there were no standard ways to develop them, Spring batch filled that gap. It provides reusable component and solid runtime environment to write batch jobs. Since it uses Spring's popular and well-known programming model to simplify configuration and implementation, comfortable to many Java developers. 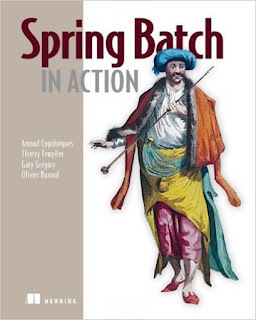 The Spring Batch in action book provides you everything you need to write batch jobs. It's an in-depth guide of the Spring Batch project. It teaches you how to monitor, tune, and test batch jobs with lots of practical examples. One of the things any Java developer really like to improve is their understanding of security in the web application. I have interviewed so many experienced developers not knowing much about common security exploits like SQL injection, Cross site scripting, session hijacking etc. If you are a Java developer who is familiar with Spring and you are looking to explore its security features, then this book is for you. All beginners and experienced Java developers will benefit from this Spring Security Essentials since it explores both the theory and practical usage in detail. 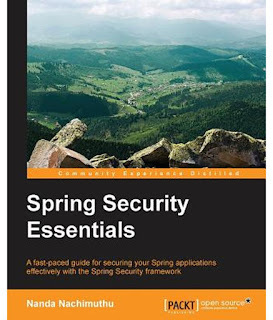 You can also benefit a lot from reading this book and joining one of the comprehensive Spring Security training courses from Eugen Paraschive or online portals like Udemy or Pluralsight. Good knowledge of Security also gives you an edge when you go for a Job interview, so I highly recommend to improve your knowledge and understanding of web security and how to implement those using Spring Security framework in Java. Obviously, you have to code and you have to talk to people who are using it already, but before you do, you must know some fundamentals and there these Spring framework books will help you there. Once you learn the fundamentals, you can take advanced Spring training courses like REST with Spring or the Learn Spring Security courses to learn more practical skills and get some hands-on practice. That's all about some of the best books to learn Spring framework, Spring MVC, and Spring Security. As I said, Spring is a very important skill for Java developer, more for a Java web developer and it gives you more job opportunities in application development space. It also helps in your current job because you can deliver your solutions more easily and quickly, and can maintain and support them better. P. S. - Books are also great for self-learning but if you are someone who learns more from an online course or training then you can also take a look at the Learn Spring: The Master Class course by Eugen Paraschive of Baeldung. One of the better course to learn Spring 5 and Spring Boot 2 from scratch, in a guided, code-focused way.